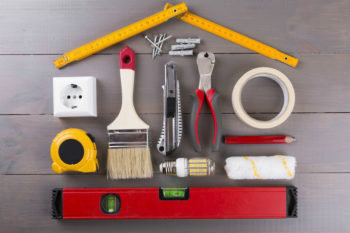 Oftentimes, doing your own home projects can sound like a great idea: you can save money, and you feel more accomplished once you’ve successfully finished. So why not DIY your various home improvement projects? Believe it or not, in some situations choosing to tackle home improvements yourself can actually cost you more money and do damage to your home. With 58 percent of homeowners saying they plan to spend money to make their homes a little sweeter this year, the appeal to go the DIY route is strong. However, in some cases that money should be going to a professional. Here are a few times when you should leave home improvement to the professionals to avoid expensive problems. As tempting as it can be to dive in head-first into a more complicated project, highly-skilled home projects should be something you call a professional for. Projects involving woodworking, wiring, and so on take time to learn, and unless you plan on learning all the small details of the job, this will take more time than it’s worth. You’re also less likely to get an end result you’re satisfied with, meaning you’ll likely end up calling a professional anyways. It’s also highly likely that you don’t have the tools on hand to tackle some of these projects, and you might not know how to maintain them. For example, for correct tension in a lathe, a deflection of about 3/8 of an inch should be evident in each belt. Unless you’re planning on using your tools frequently, you’ll want to pass up on purchasing specific items like this for a single DIY project. HGTV might make it look easy, but in reality, large remodeling projects take time, patience, money, and plenty of people. While it is technically possible to renovate your entire kitchen alone, you’ll end up incredibly frustrated in the process. You’ll likely need to recruit people to help you, and at the end of the day, it’ll be simpler to hire professionals to take care of it for you. Additionally, with the high price tag on projects like these, if you end up making mistakes, it’ll be incredibly expensive to fix. Even updates that might strike you as being easier or cheaper, like replacing kitchen cabinets, can run a high price. Cabinets generally account for 40% to 50% of total kitchen remodel costs, and if you make a mistake, you’ll need to pay extra to fix it. You might be able to manage some repairs around the house on your own, but generally, if a major part of your home, like windows or siding, need to be replaced, you’ll want someone who has the know-how to get it done right the first time. This is especially true for anything that might impact your home’s curb appeal, like your home’s exterior. A good paint job for your home’s exterior should last anywhere from 8 to 10 years by most experts’ estimations. If you find yourself needing to paint siding more frequently it may be time for a replacement. This also goes for any major appliances throughout your home; it’s best to let a professional install them. That way, you won’t accidentally damage your brand new appliance while you’re trying to get it set up. DIY projects around your home can be a great way to save a bit of money and show off your creative side. However, not everything can be done yourself at home, so use this information to know when to call a professional.